Acknowledged as the “Father of Antiseptic Surgery”, Joseph Lister’s contributions paved the way to safer medical procedures. His introduction of the antiseptic process dramatically decreased deaths from childbirth and surgery and changed the way the medical industry looked at sanitation and proper hygiene. Joseph Lister was born on April 5, 1827 in Upton, Essex, England. 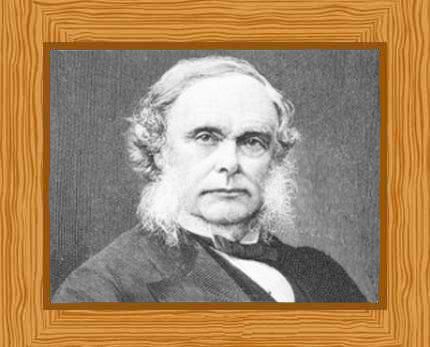 His father, Joseph Jackson Lister, was not only a wine merchant, but was also an amateur scientist. He was the second among three children. Coming from a family of Quakers, the young Joseph Lister also attended Quaker Schools in London and Hertfordshire. Quaker Schools put in a great amount of emphasis in the sciences, giving him a strong foundation in what was to be his chosen profession. He observed the first surgical procedure that used anesthesia in 1846. He then attended the University of London where he earned his Bachelor of Arts degree in 1847. Later on, he qualified to become a medical student and earned his Bachelor’s degrees in Medicine and Surgery. Because of his exceptional performance, he was awarded with two university gold medals and easily became a Fellow of the Royal College of Surgeons the same year in 1852. He then became the dresser for Professor of Clinical Surgery James Syme in Edinburgh, and eventually became his house surgeon. He married Syme’s daughter, Agnes, who became his laboratory partner because of her great interest in medical research. Joseph Lister has always been aware that the number of deaths after surgery was not caused by the operation itself, but by what follows after the procedure. Because there was an alarming rate of “ward fever” after surgery, Lister wondered what could be causing this event. Comparing patients who had simple fractures to those who had compound fractures, he concluded that the infection was coming from the outside, as the problem only occurred to those who had open wounds as compared to those who did not have any flesh wound. Lister started adding hygienic practices before conducting any operation, making sure that his hands were clean and his clothes fresh. At that time, it was common for doctors to walk around covered in blood as this served as a status symbol for them. Lister’s untraditional methods were scoffed at. Looking at research done by Louis Pasteur, a French chemist and microbiologist known for his vaccination, fermentation and pasteurization principles, he agreed with the latter’s belief that germs are usually contracted from the air. Because Lister was a wine merchant’s son, he knew that wine went bad because the fermentation process was not done properly, and not because germs spontaneously came to life within the wine as evolutionists believed. Applying this thought to open wounds, he knew that the only solution was to find a way to kill the germs before they get the chance to enter the wound, preventing the infection to occur. Carbolic acid was then being used as an effective disinfectant for sewers. Upon confirming that it was safe to be used on human flesh, Joseph Lister saw it as the solution to the problem. He started using it to wash his hands, as well as the instruments he needed in every operation. He started covering his patients’ wounds with a piece of lint covered in carbolic acid. He also devised a machine that sprayed the air with carbolic acid to get rid of airborne germs. He refined his techniques until he had enough proof that everything he did was successful, and went on to publish everything he discovered in a medical journal “The Lancet” in 1867. As expected, it took a long time for other people in the medical field to accept Lister’s findings. A lot of them were incredulous at the thought that organisms too small to be seen were causing all the post-operation deaths. Some found it tiring to have to go through the sterilization process before performing an operation. And although some of them tried Lister’s methods, majority of them did it incorrectly that their efforts proved to be useless. He was now a Professor of Clinical Surgery in Edinburgh, and he continued to modify his system to achieve better results despite the negative feedback. It took 12 long years before Lister’s system gained widespread acceptance. Those who emulated Lister’s example in Munich gained astounding success, with the death rate caused by infection after surgery dropping from 80% to almost zero. The English doctors were among the last to accept the brilliance of Lister’s methods, only winning them over when he was appointed as Professor of Surgery in London’s King’s College Hospital in 1877. By 1879, his findings had gained widespread acceptance around the globe. Joseph Lister was the Queen’s surgeon for many years, and introduced the use of rubber drainage tubes after trying it on her. He also showed that sterilized materials could be left inside a patient’s body as needed and used and left sterilized silver wire inside the body to keep broken bones together. And since the silk thread used in internal stitching causes more damage when pulled out after some time, Lister started using sterilized catgut, as this would eventually dissolve. Queen Victoria dubbed him Sir Joseph Lister in 1883. He became Lord Lister of Lyme Regis in 1897, and was the first to become a British peer for services to medicine. He was given the Order of Merit in 1902, and was made Privy Councilor. He became the Vice President of the Royal College of Surgeons and President of the Royal Society. He was also President of the British Association for the Advancement of Science. He helped establish the British Institute of Preventative Medicine in 1891, which was later on called The Lister Institute in his honor. With all his achievements, he finally retired in 1893, shortly after his wife died in 1892. He still entertained requests for his advice and services from time to time, although he was left a bit melancholic after losing his life partner. Joseph Lister died in Walmer, Kent, England on February 10, 1912 at the age of 84.